Normally, the Tablets are the slim touchscreen device, which can be work similar to the Smartphones. Most of the people can consider only the Apple iPad is only the tablet that can offer only the excellent performance and rich look to the user. But, there are lots of manufacturers who can offer new varieties of the tablets for different brands. The Google, Samsung, Microsoft and Amazon are some of the rivals of the Apple Tablets. Usually, the tablets come from with the keyboard looks like a PC. On the PC, the keyboard will be present in the separate form, but in the Tablet, this can be present in the fixed one. This can offer the normal browsing, social network support, emailing, text, videos watching, music, etc. You can do all the types of work similar to the computer and Smartphone. This can support the WI-FI, 2G, 3G and 4G to search the information and some of the other type of functions. The Tablet helps to do any kind of work like smartphone works and also for the Laptop work. The Tablets combine with the ebook reading, web browsing, emailing, video watching and photography. All the features of the Smartphone and Laptop are present in the Tablet. If you want to buy the best and the perfect tablets, before going to buy, you must check the following features are present in the tablet or not. If your buying tablet has the below give features means, you can get the excellent performance while using the tablet. This can also offer longer life to your tablet. All the type of new model Tablets offers the WI-FI connectivity and GPS capability and front facing Web camera. Screen Shape And Size: The normal size of the Tablet is 7 inches and 10 inches. Some of the models are available in large sizes like Microsoft’s 12 inches. In the landscape mode, most of the tablet has very small, the wide range shape of the digital TV. Generally, the iPad display will be square shape same to the traditional Television. 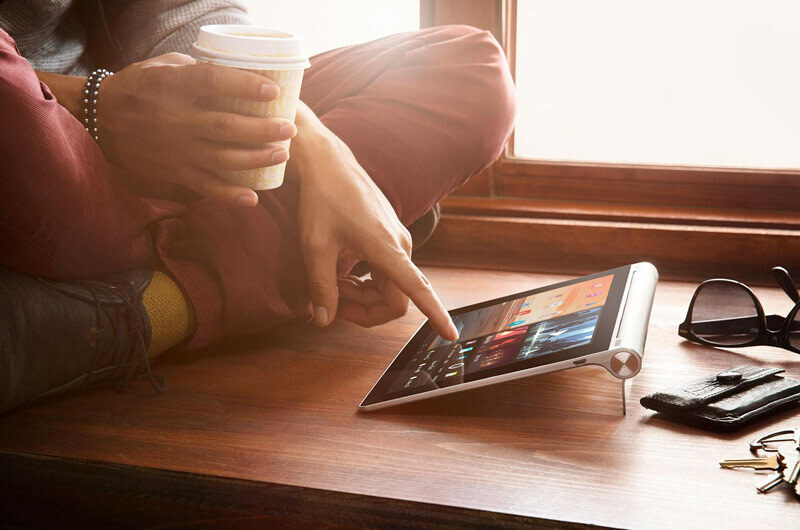 Wireless Connectivity: Most of the tablet provides the WI-FI connectivity. The expensive price tablets can access the 4G and the cellular data connection. Display: The screen resolution will be better for the Tablets. The Samsung’s Galaxy Tablet S 8.4 is with the finest at the 359 pixels one inch. Apple iPad Air 2 have the anti-reflective coating which will help to make the best brightness of the bright lights. This can be one of the best tablets. Operating System: There are three different types of OS (Operating system) can be used for the tablets such as iOS, Android and Windows. Normally, the iOS can be used in the Apple tablets. The Microsoft’s Surface Pro 3can use the windows 10. The latest version of the Operating system helps to perform your tablets in fast and excellent. The Android OS version 5 is otherwise called as the Lollipop. Ports: Usually, the storage memory for the tablet is expanded using the Memory card or the USB cables. This will help to store any amount of information on your tablet. The Apple tablet cannot come for the expandable memory and there are no memory card options and USB cable options are not available. But the camera capacity for the iPad is excellent. Printing Capability: check the printing capability will be available or not. The wireless printing for the iPad through the AirPrint-developed printer. Most of the iPad, Android and other types of the tablets allows the Wi-Fi printing. This option will be available for most of the tablets. Which Type of Shopping is the Best to Buy Tablet Online or Stores? In the store, there is no new varieties of the tablets are updated and sale immediate. You can get every information to the worker. This can consume lots of time and the tablets are available for the high prices in the store. You can get lots of the confusion about-about how to choose the best one. Even though you cannot buy the best one. Comes from the online shopping, you can see plenty of new varieties of different brand tablets in the online within your home. The features, price, size, brand name, colour and some of the other types of details are also given for every tablet. You can discuss with your friends and family members which one is the best one. If you cannot satisfy for the one product move to the next one. There is no problem will be created. You can get lots of time to choose the best tablet. Sometimes the gifts and discounts are also provided for the tablets. This will help to save your money. You can also buy the accessories of the tablet in the online. Sometimes the tablets are the sale with the accessories in the online. You can choose any price of the accessories based on your budget price. Google: The Google’s 7 inch and 9 inches of the Nexus tablets will be run on the Android Operating System. HP: The HP’s Windows and Android models available for the 7-inch size, 8-inch size, and the 10-inch sizes. The Slate is the premium line. KD Interactive: The KD Interactive, the manufacturer of the Kurio tablets, can produce interactive & educational latest technology platforms or tool for the children ages two to fourteen. LG: Android related G Pad was available in the 7 inches, 8 inches, and the 10 inches size versions. Leapfrog: The Leapfrog is one of the leading companies in the child development studying products, providing the non-electronic toys and electronic toys. Lenovo: the Lenovo’s Yoga line and IdeaTab run on the Android Operating system. Yoga tablets have to be built on the perfect stand. The Miix tablet is the Windows related detachable. An A7, A8, and A10 can be the budget line. The Models available in the size from the 7 inches to the 11.6 inches. Microsoft: Microsoft Surface was the Windows related tablet, which can come in the 10.6-inch size and 12-inch sizes. They can provide the detachable and the folding keyboard. Polaroid: The Polaroid is the best and the perfect known for the pioneering immediate photo cameras, creates the action sports based cameras, TVs, kids tablets and camcorders. Samsung: The Samsung is one of the most popular and highly used Tablet. This can come from all the sizes like medium, small and large. The Windows Operating system and an Android Operating System can be used for the Samsung Tablets. This can be available for the 4G versions. All the type of features available for the Samsung tablets. Sony: The Sony’s Xperia Tablet Z was an Android related tablet which comes from the waterproof. Toshiba: The Toshiba’s was run on the Android Operating system and Windows Operating system lines and the sizes include the 7 inch, 8 inch, and the 10-inch Excite lines and Encore lines. Satellite Click the tablets are detachable. VTech: The VTech is one of the best leading suppliers of the electronic studying products for the children, from an infancy to the preschool. Vinci: The Vinci offers the learning related tablets for the children ages one to nine. These are the different brands of tablets which can be purchased based on your specific need.